Excellent service! I got a great deal on a 2019 CLS 450. My salesman, Richard, explained everything to me throughly and helped ease my mind about concerns and questions. He was very efficient and courteous. I will definitely be recommending my friends and family. Awesome Service! My service advisor, Ryan went above and beyond. He also kept me updated on the status of my car. My technician, Brent was amazing too. I've gone to Plaza motors for years to have my car serviced, and dealt with the mediocre customer service. No longer! Mercedes will be my place from here on out. Unmatched VIP customer service! I just purchased a 2017 CPO S550 from Mercedes Benz of St. Louis. I have bought many vehicles in my time but this has been the absolute best car buying experience to date. My sales representative was Richard Pfuhl. Rich was a pleasure to work with. From the first phone call inquiring about the car to shaking his hand good by and driving off with my S550 Rich was amazing. He is very knowledgeable, easy to speak to and answered any questions I had. Rich made buying my car fun. If you're looking to buy a Mercedes Benz go to Mercedes Benz of St. Louis and if you go to Mercedes Benz of St. Louis ask for Rich Pfuhl. You'll be happy you did. I certainly was. Dr. Tom Bench. This is Wyatt by the way. Darren Compton was excellent, he went out of his way to get me in for a service same day with two hours notice. I was in the process of purchasing my first Mercedes-Benz and wanted to make sure everything was up to the dealers standard. Darren got me in, informed me that everything checked out and if i really wanted it, to go ahead and buy it. Which I did! Darren also updated all the computer systems in the car for me so everything was up to date when I left. Mercedes of St Louis has now earned another customer as long as I have a Mercedes! Thanks again Darren! Richard worked hard to get me the best deal on my C300. If you are in the market, do yourself a favor and ask for Richard Pfuhl. Richard Pfuhl was my sales guy. Out of all the salesman I’ve encountered during my car search, Rich delivered the best service and price. He’s awesome! The approval process was quick and easy. Worked with me on my trade-in as well. I’m extremely satisfied with my 2018 CLA & the service Rich provided. Absolutely love that MB has an autohaus right here in town, their staff is by far more than exceptional and I am very happy with the service they provide me for my automobile. If you own a Mercedes it would be a waste to service it anywhere else but MBSTL. 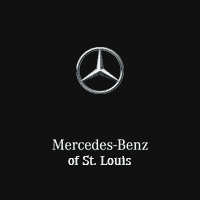 Ricky Washington and Mercedes-Benz of St. Louis are excellent. They are great to work with. I would recommend them without equivocation. Fast friendly service with Walt, he is very professional and far exceeded the “other” Benz dealership, furthermore it’s a great atmosphere, coffe, and snacks while you wait for your Mercedes to be worked on.